What do Vinyl Replacement Windows Cost? When Quality and Price Matter! Our Best Patio Door Ever! 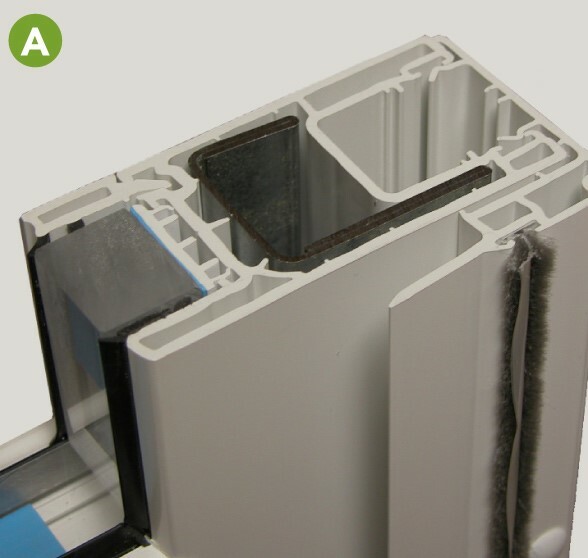 Click here to view the Endure Patio Door Publication. Click here to view the Inspirations Art Glass Publication. 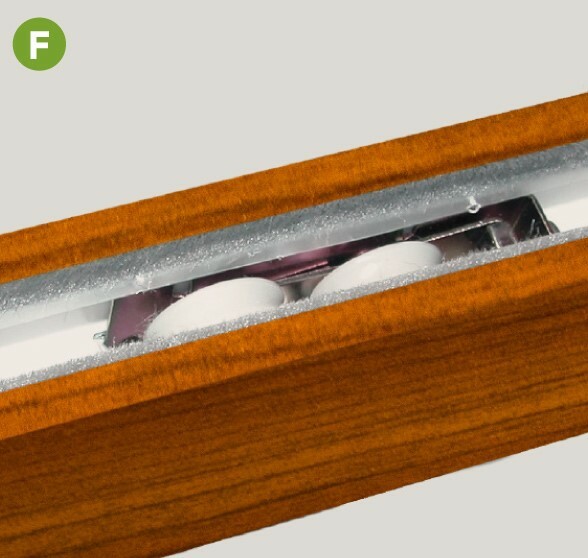 Click here to view the ProVia ComforTech Glass Brochure. The Endure™ vinyl sliding glass patio doors deliver excellent energy efficiency and meet the most stringent industry standards for storm protection, ease of entry and forced entry. Additionally, options for interior wood grain colors and popular exterior paint colors, varying internal grid styles and patterns, and multiple choices for glass and hardware enable homeowners to customize Endure sliding patio doors to fit their homes style and decor. Neopor® insulated, multi-chamber vinyl profiles with 5-3⁄8” frame depth give the Endure sliding glass patio door greater thermal efficiency and increased sound abatement. Because of the design attention to energy efficiency in patio door construction, the Endure patio doors are ENERGY STAR® certified and have been independently tested to meet strict energy efficiency standards. Endure brand sliding glass patio doors come standard with ComforTech™ Warm Edge Glazing, a high-tech glass package that measurably improves thermal performance— warmer glass temperatures, year round comfort and superior energy savings. Standard features of the Endure vinyl patio door design provide high energy efficiency, ease of operation, durability and increased security. 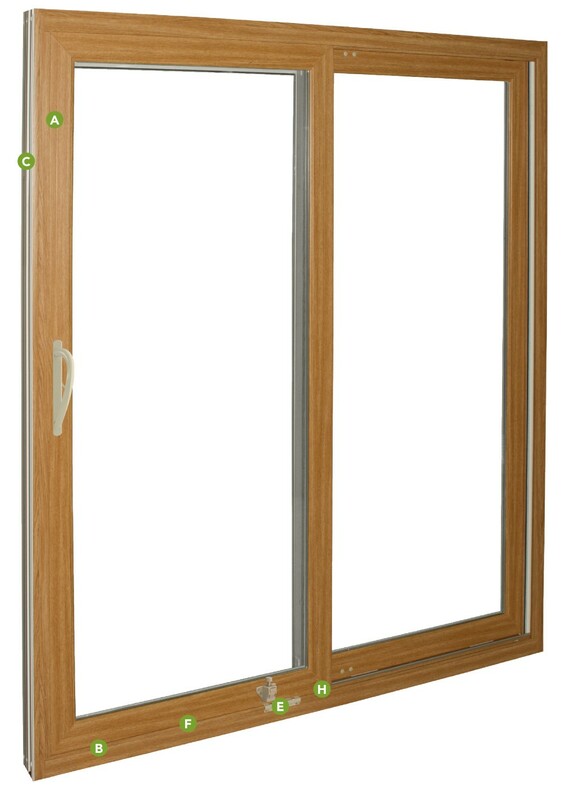 Endure patio doors are reinforced with galvanized steel for rigidity and stable operation. 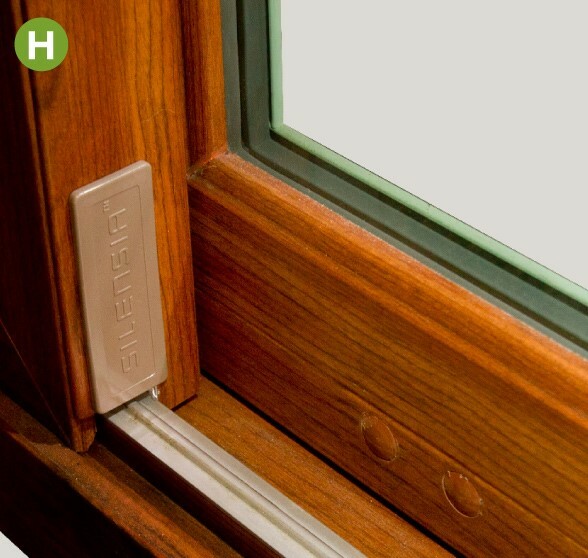 Endure patio door features include a patented water draining system. Galvanized steel is also used to reinforce patio door sill. 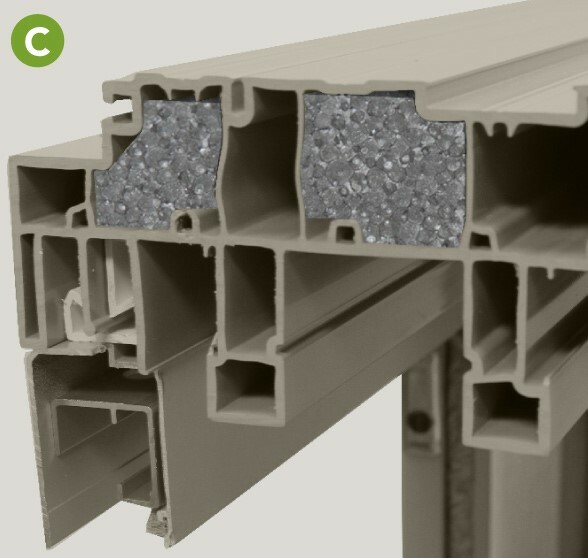 Multi-chamber vinyl profiles with Neopor® insulation and 5-3⁄8” frame depth offer greater energy efficiency and improved sound reduction. Heavy-duty aluminum screen is suspended by ball bearing rollers. Our top-hung frame with UltraVue fiberglass mesh reduces binding, creating effortless operation of the screen. 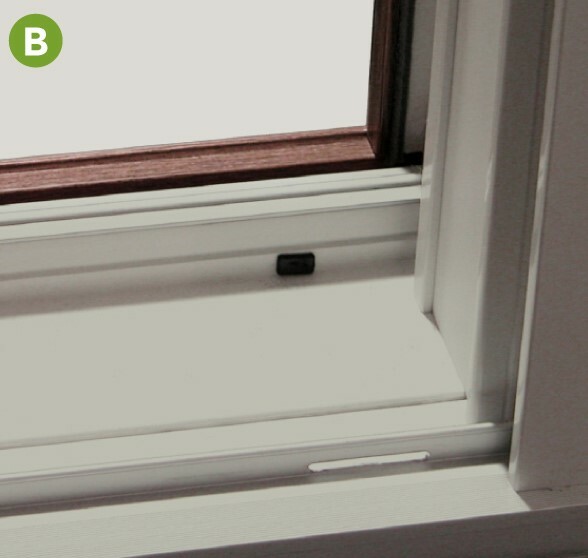 A vent lock adds security when you want to leave the door open for ventilation yet keep would-be intruders out. 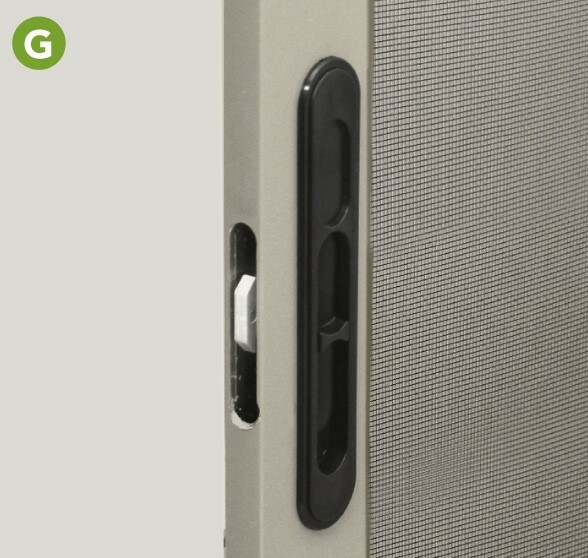 Endure patio door panel features four adjustable 1" wheels on sliding panel to ensure smooth, easy and quiet operation. 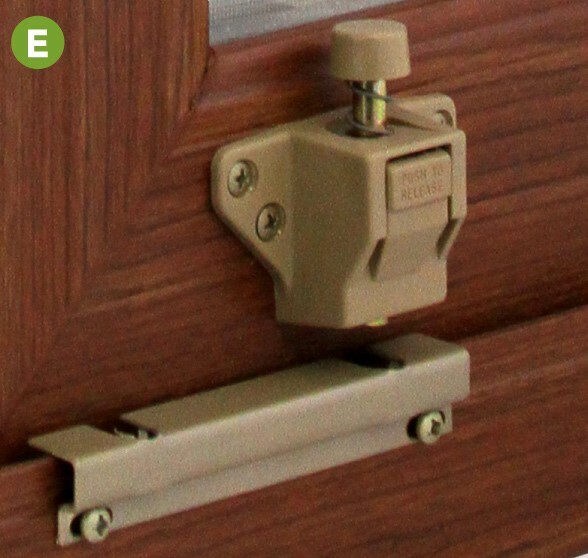 Spring-loaded locking system automatically engages upon closing door. UltraVue fiberglass screen mesh is standard, heavy-duty fiberglass, stainless steel or aluminum mesh is available as an option. 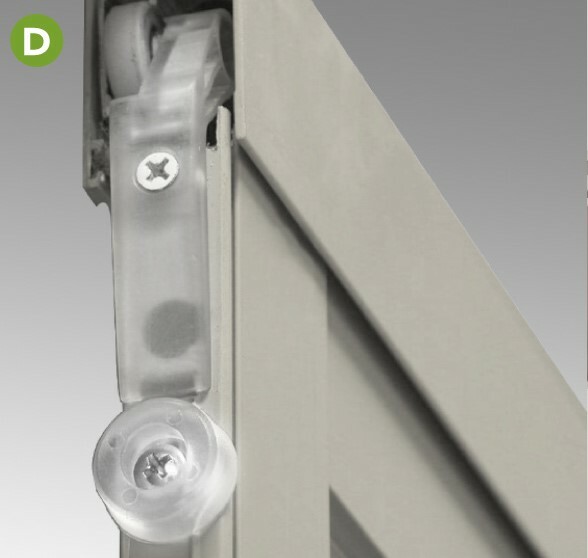 Fixed and mobile sash rails meet and interlock securely. Making panel removal from the outside the home virtually impossible. Lower sill design provides safer entry and exit. Endure sliding vinyl patio doors come in two-, three- and four-panel configurations for maximum flexibility. Multiple options for patio door interior and exterior colors, deluxe hardware, glass designs and internal grids provide the opportunity for individualized customization. Windows Pittsburgh selected Endure patio doors for their high quality frame and sash designs along with energy-efficient glazing systems. We also promote up-front verification to ensure our products meet or exceed the EPA’s certification, and that your new ENERGY STAR-certified vinyl patio door will provide the exact energy efficiency you expect from our products.